City Central Dental is committed to assisting children to have good dental habits for life. Establishing good dental habits early is the key to having healthy teeth, gums and mouth for life. Quality dental care is very important for evaluating tooth and gum development and educating young patients about preventative dental care. 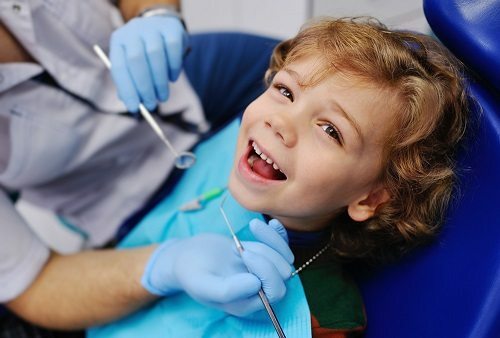 At City Central Dental, we recommend parents bring their children in for their first dental check-up before the age of 2 to detect any problems early. We can offer advice to parents about how to care for their child’s teeth and encourage good oral hygiene habits. By preventing decay before it’s a problem, you can help your child develop a positive attitude to visiting the dentist throughout their life. We make this even easier by providing a comfortable and relaxing environment for your child’s routine dentist visits. If you need a children’s dentist in Adelaide CBD, get in touch with the friendly team at City Central Dental. Call us on 08 8231 9922 or contact us online to book an appointment. We’re here to answer any questions you have about our dental services.